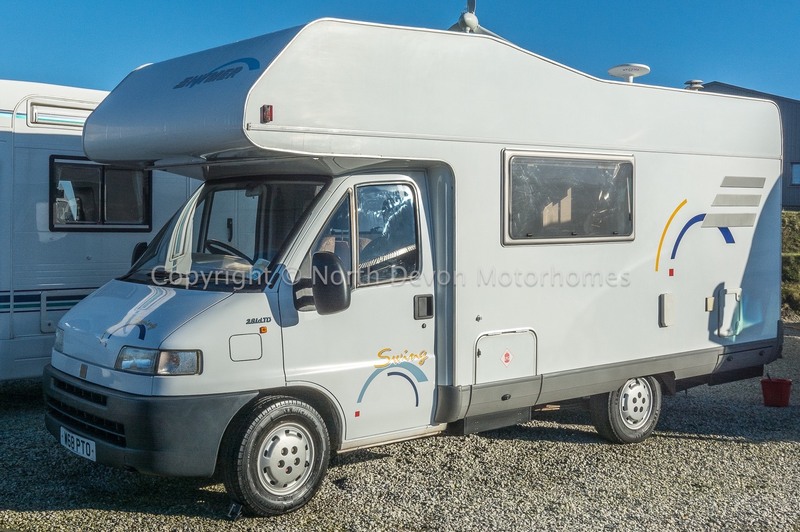 A sensible sized family coach built motorhome based on the trusty Fiat cab matched with the favourable Hymer coach built body. 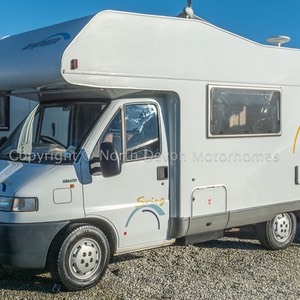 The last owner having lovingly cherished and maintained it over the last 14/15 years, with recent servicing, cam-belt and habitation service. 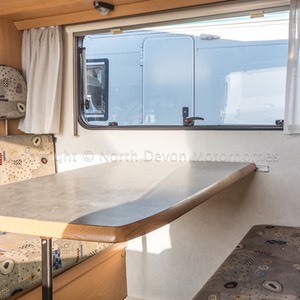 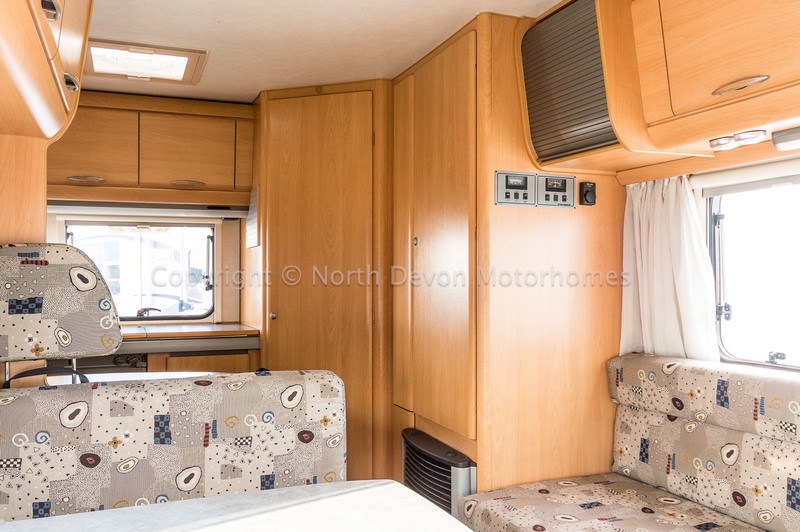 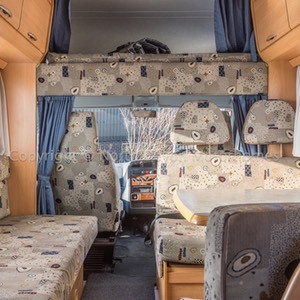 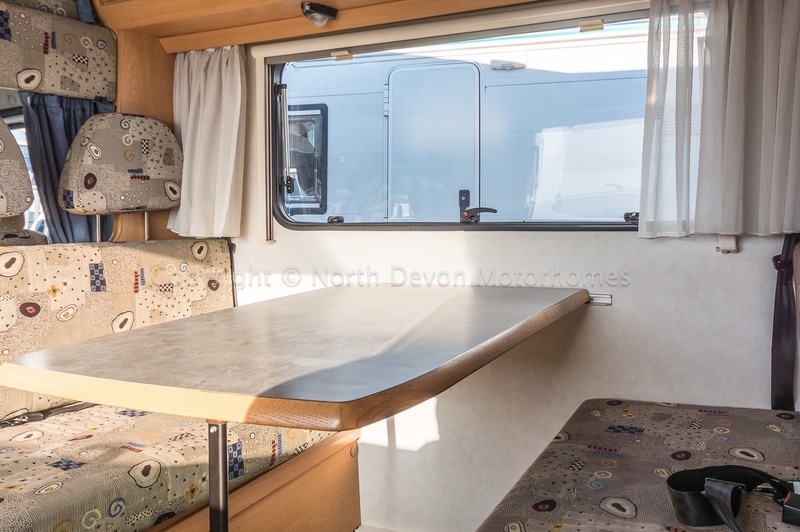 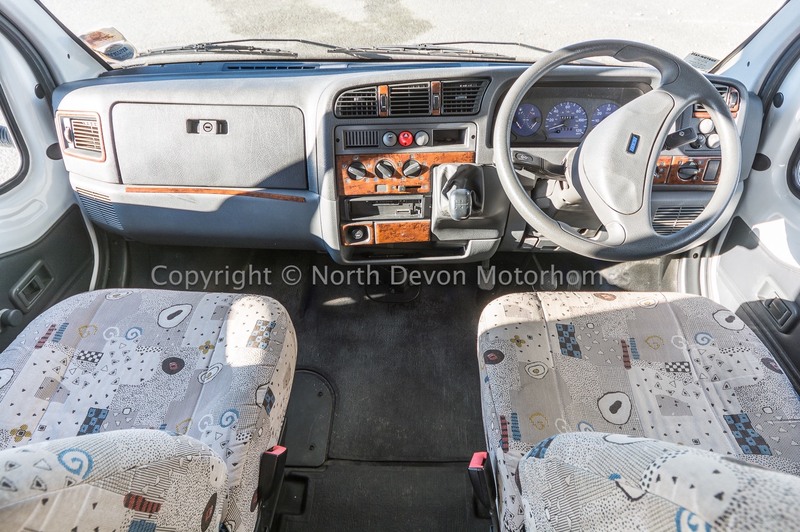 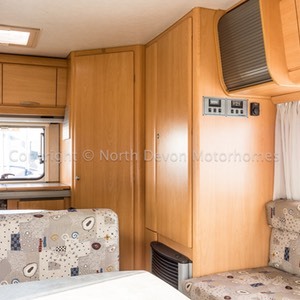 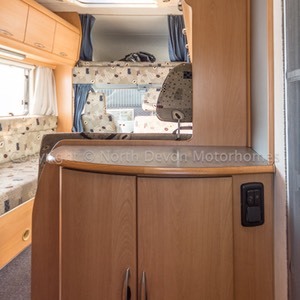 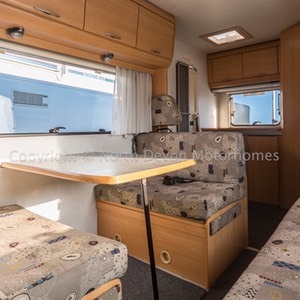 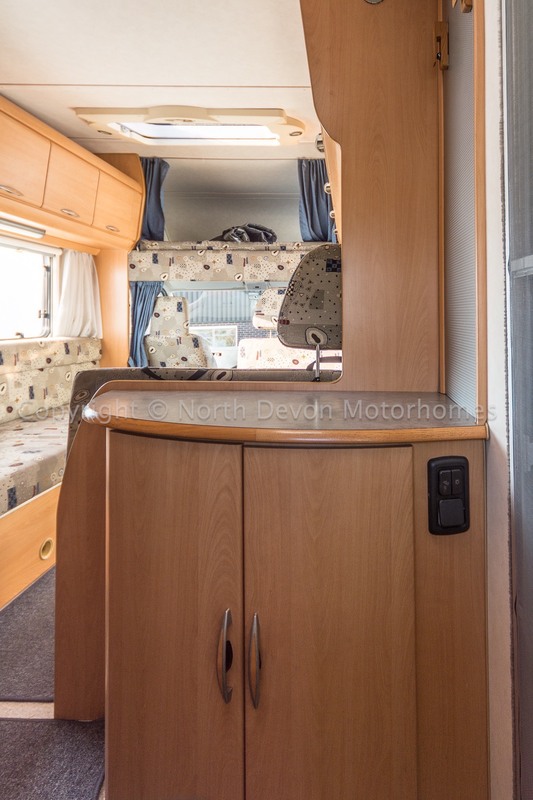 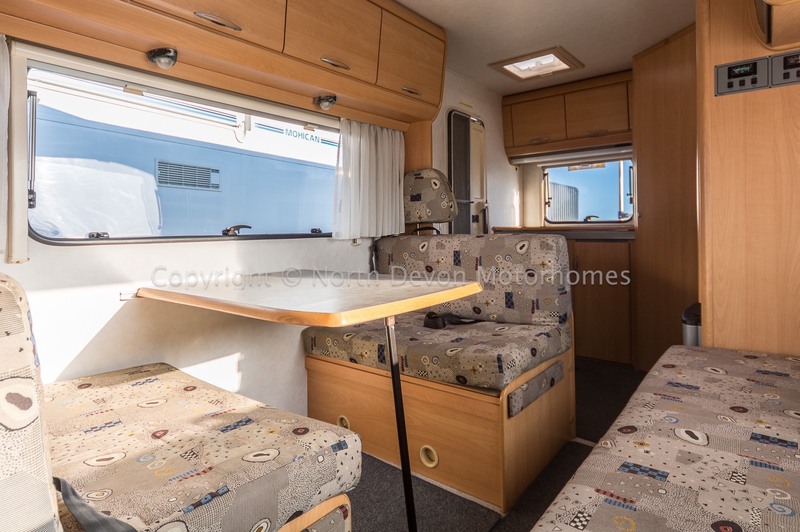 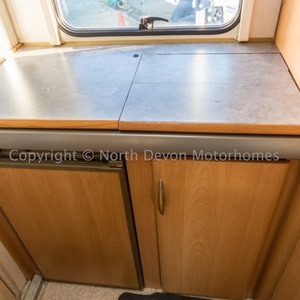 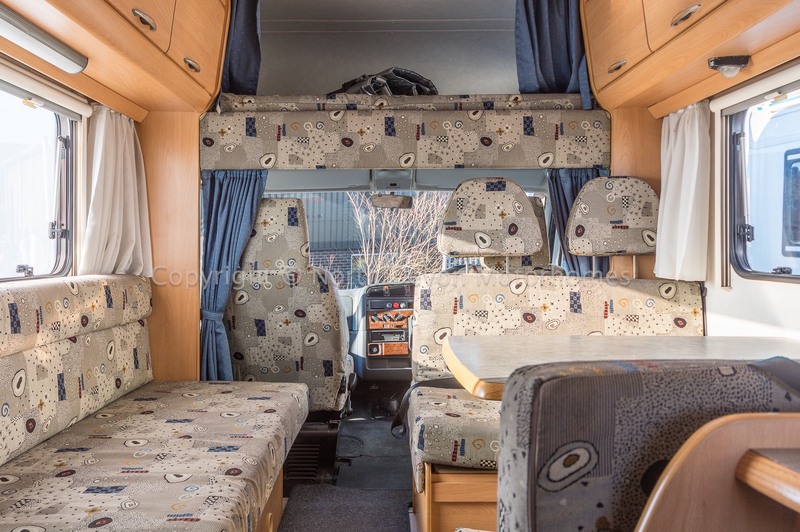 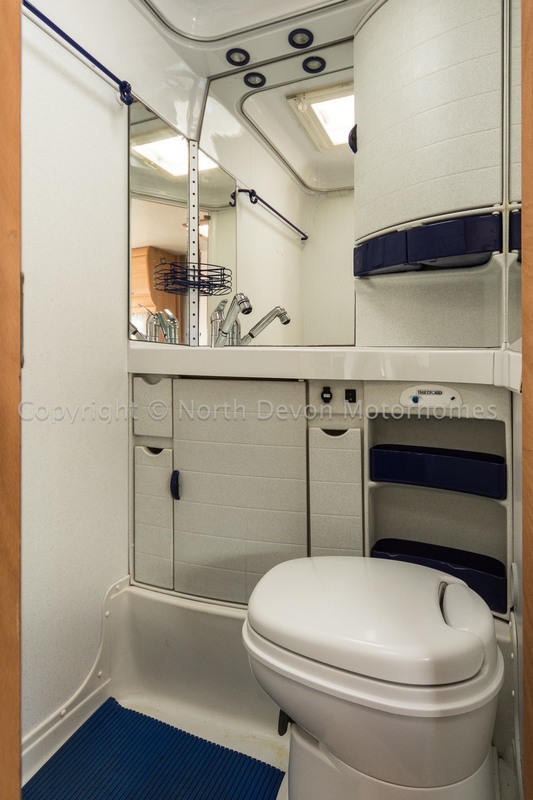 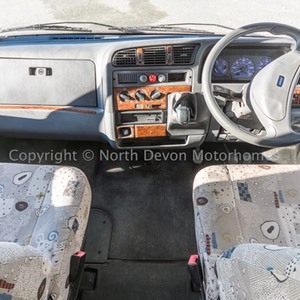 Typical Family 5 berth layout, Favoured end Kitchen, large corner washroom, central lounge, full Pullmans dinette table with opposing settee, and a fixed double bed over cab bed. 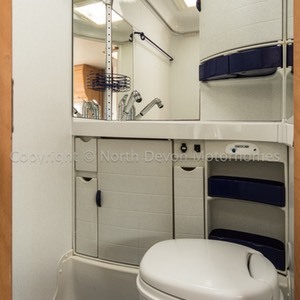 Shower, Cassette swivel base toilet, wash basin with vanity mirror over, with built in storage under, overhead storage locker, Skylight/vent. 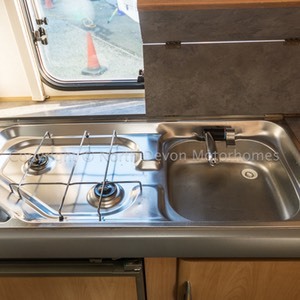 2 burner gas hob, sink, 3 way fridge, sky light/ vent, ample over and under storage. 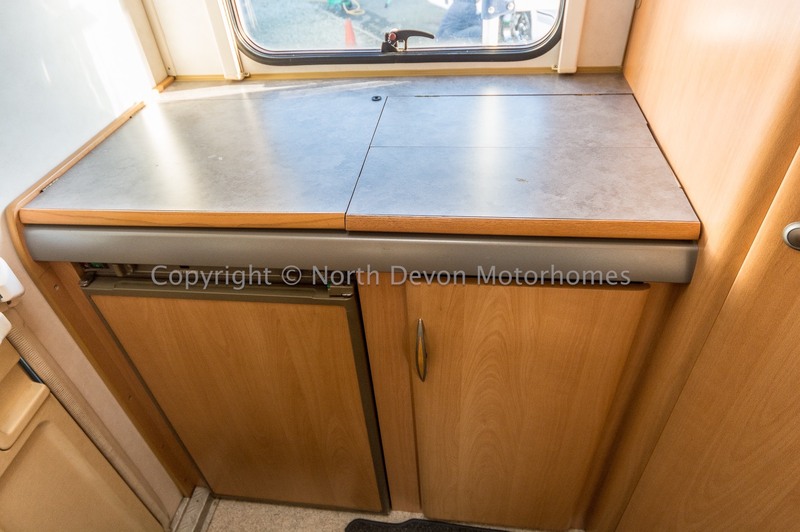 Traumatic hot blown air heating system operating on LPG with a Truma LPG Boiler providing hot water throughout. 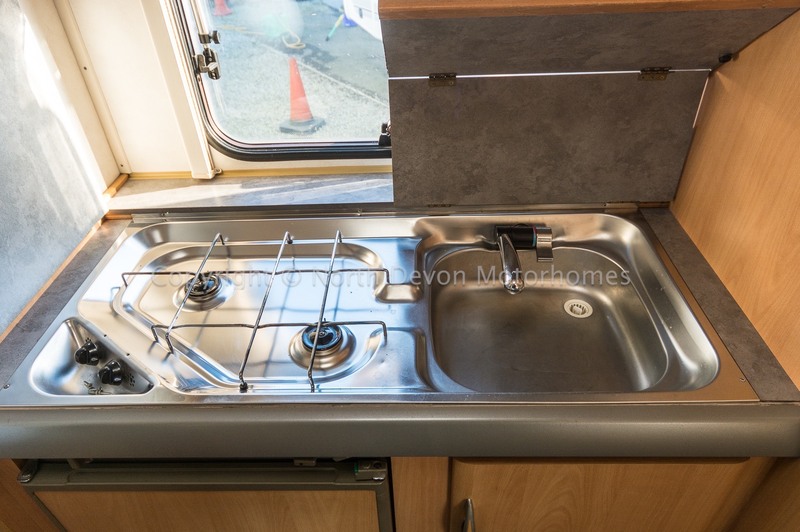 Stereo, Bike-rack, Electric step, TV Aerial.